Spring is here and I think we're all ready to jump right into spring fashion, feet first, literally! With the weather being so unpredictable, between the 70 degree weather back to the 40 degree weather to a random morning of snow, it's not quite time to say goodbye to winter pieces. But! That does not mean you can't start slowly incorporating spring things into your daily wardrobe. There are certain guidelines I follow when doing so, besides the weather be fairly reasonable. Step 1: balance out open toed with a few options: (1) a more covered up neckline (2) long sleeves and/or (3) sweater/outerwear. Remaining more covered up at the top, helps to balance out your toes being out. Step 2: long sleeves + pants = easy trick! Full coverage + open toes, again balance! Step 3: even if the weather is on and off, inject some spring tones into your look. One of the easiest ways to get into a spring state of mind. No need to limit your outfit choices or think only pants will work as we ease into spring, it's all about making your wardrobe work for you, creating balance and yes, the weather is a huge factor. It's the perfect time to bring out your spring clothes and pair them with winter garments to create more outfits. Step 1: easiest way to this is to balance out exposing both legs and feet by covering up, up top. Step 2: if you want to add on more layers, pick your choice - cargo jacket, sleeveless vest, short sleeve coat, bomber jacket, trench jacket, leather jacket and the list goes on. There is no need to pack away items within your wardrobe because the season comes to an end, instead learn how to style them and work them for any season. 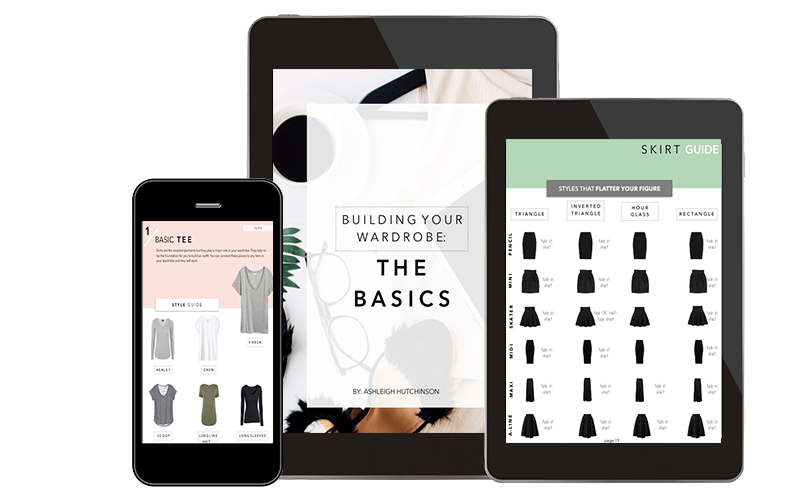 Transitioning Your Wardrobe: Winter to Spring eBook teaches you how to get more wear out of your winter clothes, spend less on new pieces and instead create new spring outfits surrounding the pieces in your closet.